Ahoy, me hearties! Your techie and gadget geek pirate is back to give you great information on what’s latest on the gadget world. Me and my fellow buccaneers recently had a stop in one country and as usual, I visited different shops selling gadgets. I spent all me gold coins in getting the newest iPhone. 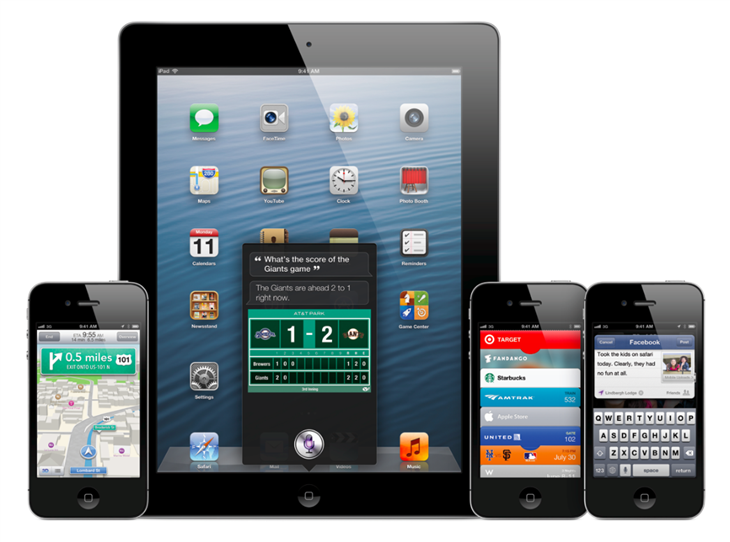 The iPhone 5 is the most recent iPhone version (as of 2012) from Cupertino based Apple Inc. The introduction of this device marks the first time that the iconic iPhone becomes physically modified. The iPhone 5 is the first iPhone with different dimensions. 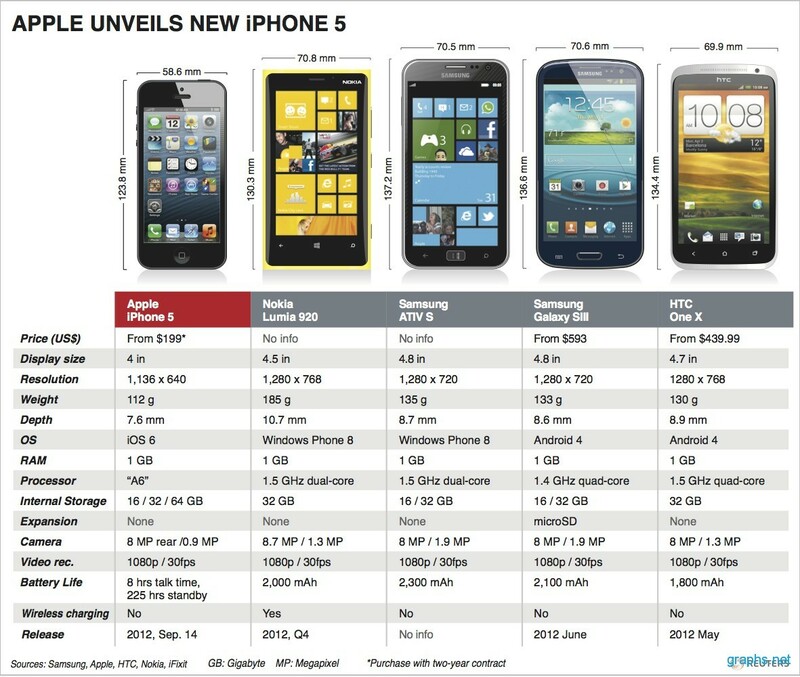 Taller but slimmer than its predecessors, the iPhone 5 is touted as a significant upgrade in both hardware and software aspects. It comes with a bigger display with higher resolution, a new version of the iOS operating system, and upgrades in the internal components such as the custom designed processor and improved system on chip (SoC). 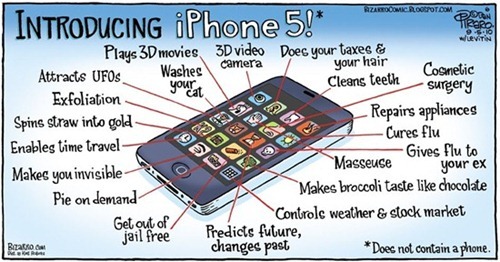 Avast ye, the most notable iPhone 5 features are described below. The iPhone 5 remains to be a touchscreen-based smartphone sporting the characteristic rectangle with rounded edges design trademarked by Apple. However, it is taller as it comes with a larger display with a 16:9 widescreen aspect ratio. The iPhone 5 is 123.8 mm tall, 58.6 mm wide, and 7.6 mm thick. It weighs 112 grams or 3.95 oz. These dimensions make it the tallest yet slimmest iPhone ever. The new dimensions mean a bigger display at 4.0 inches with a 640×1136 resolution that translates to a 326 ppi pixel density. The display is a LED-backlit IPS TFT capacitive touchscreen that supports 16 million colors and multitouch. Shiver me timbers! It comes with a contrast ratio of 1320:1 and 3.997:1 under sunlight. It is protected by scratch-resisstant Corning Gorilla Glass with a fingerprint-resistant oleophobic coating. To properly compete with the newest smartphones in the market, the new iPhone now supports LTE networks along with the basic 2G and 3G networks. Yo ho ho! This means that ye lads can access the web using ye data. Three different versions of the iPhone 5 are available to work with LTE 700 MHz Class 17/1700/2100, LTE 850/1800/2100, and LTE 700/850/1800/1900/2100. Similar to other high end smartphones, the iPhone 5 is complete with Bluetooth v4.0 with A2DP, USB v2.0, and WiFi 802.11 a/b/g/n dual-band. It can be made into a WiFi hotspot. The iOS 6 now makes it easier to activate the personal hotspot feature of the iPhone 5. A few taps from the home screen can quickly bring a user to the interface for setting up and toggling the personal hotspot feature. Ye buckos must know, however, that there are additional fees charged by most mobile service providers in using this feature. The iPhone 5 uses the Apple A6 chip dubbed as an improved system on chip (SoC) that is advertised to be capable of achieving double the performance of its predecessor, the A5. The system on chip consists of a 1.3 GHz dual-core CPU, 1 GB RAM, and a PowerVR SGX 543MP3 triple core GPU. The storage capacity is similar to the iPhone 4S with 16 GB, 32 GB, and 64 GB versions. There are no memory expansion slots on the iPhone 5. The rechargeable 1440 mAh lithium-ion polymer battery, on the other hand, is rated to last for 225 hours of standby time on 2G and 3G and approximately 8 hours of talk time in both 2G and 3G. Ye lads and lassies can enjoy using it for a long period without the need to recharge. There is also a dedicated mic that enables active noise cancellation, a 3.5 mm audio jack, and a slot for the Lightning connector to allow the iPhone 5 to display its screen on a TV. The iPhone 5 has an aluminum body. With a complete set of sensors, the iPhone 5 is undoubtedly a high end smartphone. Spending your pieces of eight is surely worth it. It does automatic rotating with its accelerometer, automatically turns the screen off during a call with its proximity sensor, and offers a compass and three-axis gyro sensor. Web browsing is done on the iPhone 5 through the Safari browser. The iPhone has not quite jumped on the megapixel race yet as it kept the same 8 MP autofocus camera used on the iPhone 4S. The camera is capable of shooting stills at a maximum of 3264×2448 pixels. It also does HD video recording at 1080p with a 30fps frame rate and video stabilization. It features touch focus, HDR mode, face detection, panorama shooting, and geotagging. Additionally, it can shoot photos while recording an HD video. The camera is paired with a single LED video light. A 1.2 MP front facing camera is also available, which is capable of recording 720p HD videos at the same 30fps frame rate. The iPhone 5 uses the iOS 6 operating system. It comes with the Siri digital personal assistant application. Acknowledging the prominence of social media, it features Twitter and Facebook integration. It also has a PDF reader, document viewer, organizer, audio and video player and editor, image viewer and editor, voice recognition and memo creation, Apple Maps, and predictive text input. The iPhone 5 also features FaceTime video calls over WiFi and cellular network connection. Shiver me timbers! That’s a lot of great features. Despite the iPhone software upgrade, the user interface maintains the familiar look though the bigger display creates noticeable roominess. There is a “Do Not Disturb” feature alongside the notifications. It provides additional control over notifications. The WiFi and Bluetooth toggles have been relocated to the top part of the screen. The brightness setting has been integrated with the wallpaper selection. The Privacy section, moreover, has been moved to the main menu. All the changes made prove to be improvements and pleasant modifications that all ye lads will be able to enjoy.